I first met Tamasine Loves at a writing event I presented at in Melbourne several years back, so it's awesome to be be hosting a guest post from her today as part of the blog tour for her debut YA novel, Remhurst Manor. She's an Australian author who's now based in Northern Ireland. 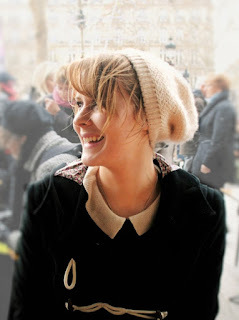 I hope you enjoy her post about the extinction of YA character tropes! As infuriating as they are, if a character in a YA novel is a trope, a storytelling shorthand for a concept that the reader will recognise and understand instantly, their inclusion in a narrative serves a function. This is because stereotypes and tropes are narrative devices. They’re there because they have a job to do, and most of the time, across all media forms, for better or worse, tropes get the job done. YA character tropes have been around as long as YA, lending themselves particularly well to a genre where word count is everything – young adult novels are shorter than their ‘adult’ genre fiction counterparts. Plots have to move faster and have fewer words with which to build a character. Now, it’s not impossible to effectively make a wonderful, rounded character, and develop them, in a plot with 60,000 words or less. It’s been done loads of times. It’s an impressive thing to be able to do. Not all writers can or want to do it, though, and so phone-in-a-trope means a half-built character from the get-go. The inclusion of a trope means reliance on a reader's prior knowledge of that trope and the connotations that go along with it. Their use has widely gone uncontested, seeming like a lot of YA fiction readers sort of resign to their inclusion in the books because after all, when you love something, you are more likely to overlook flaws that would otherwise be obvious. But lately, the number of YA character tropes being cast in new releases in young adult fiction have noticeably been on the decline. Sure, there’s still Chosen One’s a-plenty, and heroine’s left, right, and centre are still ‘letting out breaths they didn’t know they’d been holding’. But the numbers are dwindling. It seems as though authors aren’t using character tropes as often because the surety of their effectiveness as a narrative device is becoming more and more shaky. What has changed is that now we’ve got things like Goodreads and Tumblr. With the advent of platforms like these, book readers have become more vocal and have proven that you can be part of a fandom but also think critically about themes within novels that don’t sit quite right with your own views and values. Readers of YA can be excited about the absence of character tropes in their fiction because of what that means: space. That space is a promise and opportunity for more diverse content in YA fiction, richer casts of characters that are more representative of books’ target audiences and their concerns. The extinction of YA character tropes may be slow, but it is also inevitable: because they were not made to survive in the world of YA. The very nature of Young Adult Fiction and the trait that sets it apart from genres of fiction (other than intended age range) is the freedom to challenge current societal norms. Yes, it’s true that tropes and stereotypes have their place as a storytelling device. Using them doesn’t immediately equate to offensive sterotyping, and there are instances where they’re used masterfully. But, it is becoming increasingly evident that the place for tropes and stereotypes is not in modern young adult novels. YA books are transformative in every sense of the word, and the genre moves fast, with roughly 10,000 books being published every year. It’s incredibly influential, and its ideas are increasingly becoming more representative of its readership. YA readers want their fiction to reflect their state of affairs; a global community. This globalisation of young peoples’ peer groups via online forums like Tumblr (specific to YA fiction is Bookblr) instils hope. This community of young people, who are already thinking critically and holding socially-aware understandings of their world, are focused on the traditional YA-novel theme of ‘understanding your place in society as a whole’, but are focused on making the society they’re trying to understand a global one. Their interests are reflective of their want to make the world in their immediate surroundings, and the young adult novels immediately available to them, reflect the way they see the online young adult community – a global, reciprocal, critical, varied and ever-progressing and expanding, organism. That, I think it is safe to say, is pretty hopeful for the future of the world at large. 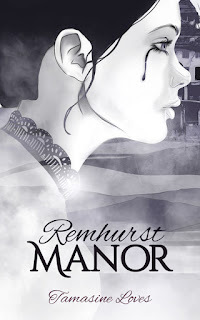 You can find Remhurst Manor on Amazon, or find out more at the book's site. You can also find Tamasine on Twitter.